• This bracket will help you point airflow precisely in any direction at any angle. • It easily retrofits onto any existing Super Vac box fan. • Allows for quick setup and effortless tilting of the fan in any direction. • Available for 12? or 16? 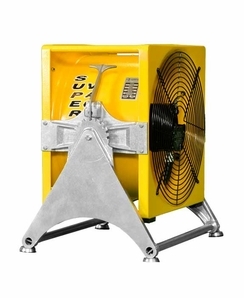 Super Vac box fans.